Intrigued. Enamored. Deeply amused. This is how I’m left feeling after watching Megumi Satsu videos. The striking French singer’s voice cascades like velvet and breaks like glass, while her hat collection is rivaled only by that of Grace Jones. 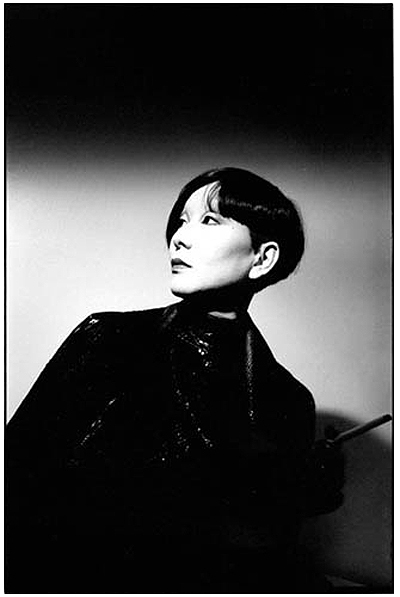 She left her native Sapporo, Japan for Paris in the seventies. 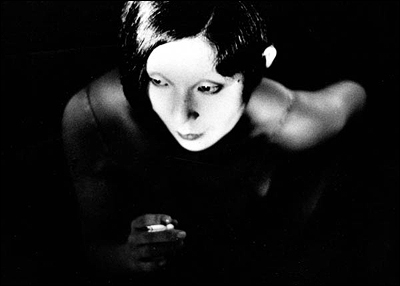 In France, the enigmatic Satsu captured the attention of surrealist poet Jacques Prévert who wanted her to interpret some of his work. 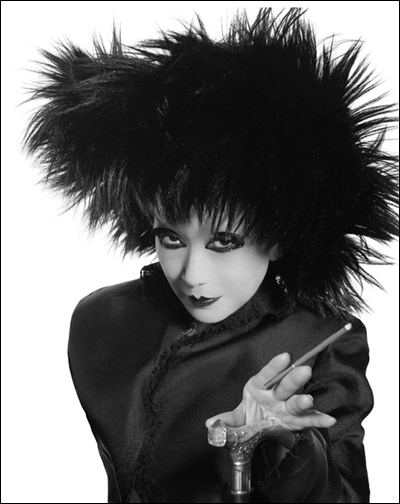 After doing just that, Megumi befriended sociologist Jean Baudrillard and artist/filmmaker Roland Topor. Both wrote songs for her. 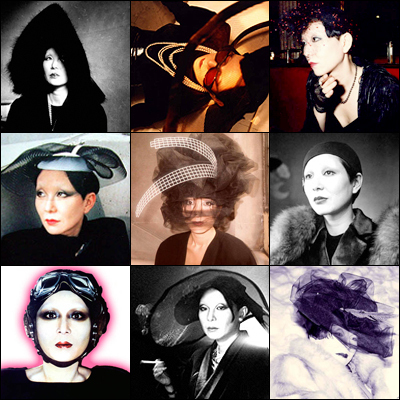 It’s hard to say whether she’s exactly “known” but the avant-garde underground clout can not be denied with such a repertoire. Among her song titles, Monte dans mon Ambulance [Ride My Ambulance], Motel Suicide Below, and Silicone Lady. Below, one of her few songs in English, Give Back My Soul. The drama! The floorwork! The camp! I had an impossible time choosing which version of this song to post. The others are here , here, and here for your perusal; you decide which is best. Researching her, I’ve come across several Nina Hagen comparisons, but my friend Q. and I agree there’s more Anna Varney on enka than anything else. 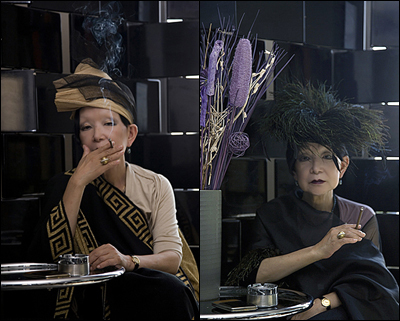 Megumi Satsu has stayed true to herself, maintaining a decidedly stark haircut, browless face and love of hats and cigarettes to this day. You can see recent photos of the singer along with another video below the jump. And! 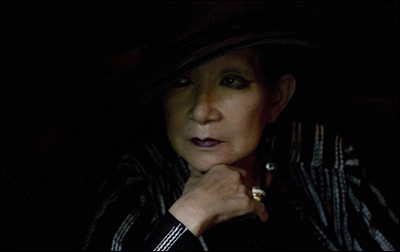 She has a new album out as of last week titled Aprés Ma Mort [After My Death] which can be obtained on her website. My new role model, indubitably. She looks so natural in purple lipstick. And now I suddenly feel like going to a hole in the wall salon to get my nails done. Complete with Nagel style wall art. What I’d like to see on you, Lizzeh, is that haircut! could anyone give me the lyrics to some of her songs..its difficult to apreciate music when i do not understand what the artist is saying. Samantha, “Give Back my Soul” is in English, actually! I didn’t catch that the first time I heard it. As far as the rest, I haven’t found lyrics or their translations online, but I have a sneaking suspicion that they could be obtained through her site, should someone have the mind to do so. Matt, so nice to hear from you! You’re very fortunate to know such a character. Of course I don’t know Megumi, but she really feels like a unique presence and I’m glad o see your comment confirm that. I hope you come back to the blog often, we love covering extraordinary characters here.